Writing projects are keeping me at the computer so I went to the archives in order to take part in the One Week Only Challenge. I should have merged my own shots together for this hdr rendition of the moon, but I was too lazy! Wow, that is amazing what detail you have in this image. Ditto to what Connie said. Amazing detail. This is amazing, great image. Super detail of the craters. This is so incredible, so sharp, and I adore the moon’s color. An incredible photo, Ann! Fav! Great drtsil. Archives are so helpful when life gets in the way. Great work to make the craters so visible! Great detail you have captured. Wow- my humble thanks and appreciation for all those views, comments and favs! And here I was thinking I'd be boring you with yet another shot of one of my favorite subjects! For those who commented on the color- that was achieved by shooting in tungsten lighting mode instead of the usual daylight mode (remember the moon is reflecting the sun so you use daylight settings for it!). 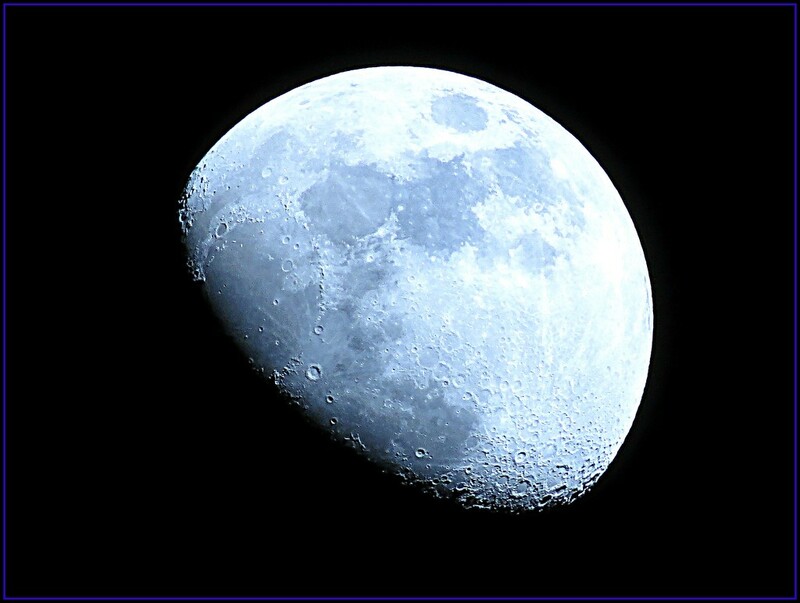 Although I could have merged several of my moon shots for the HDR effect, I used iPiccy's version for a quick application. Apparently it did pretty well- it's been a long time since I used it and I wasn't sure it was going to work or not. Thanks again for being such a great support to my project! Incredible!!!!!! The sharpness and detail are spot on! @haskar Thank you Haskar and thank you for the fav too! @salza Thank you for the fav Sally! I do love your moon shots. Don't you wish we could fly there and actually photograph it instead of always being at such a distance? @nicolecampbell Thank you Nicole- that would be interesting but truthfully, I think I'd rather do star trails in Iceland!